Inducted to the prestigious National Film Registry by the Library of Congress! 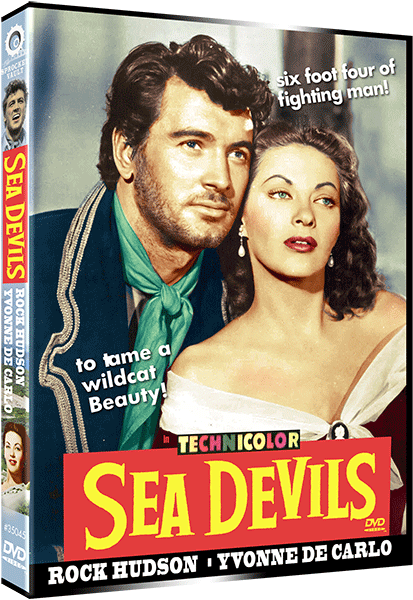 During the World War II Allied invasion of Italy, the film stars Dana Andrews as Sgt. Tyne, one of the officers leading an attack on a farmhouse in the Italian countryside which functions as a German stronghold. 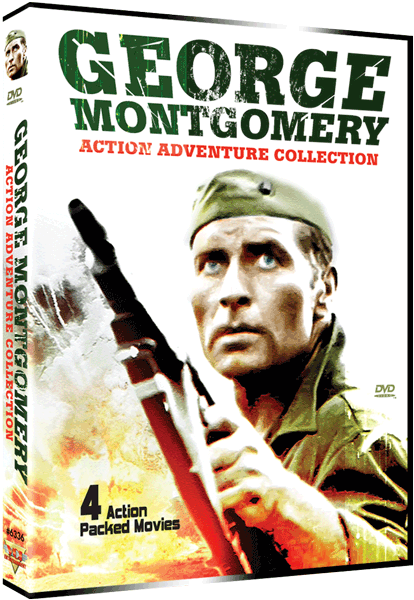 When the ranking officers are killed soon after the platoon lands on the beach, Tyne must take over. The film is noted for its attempt to portray the infantryman’s experience realistically, in particular the banter and mid-1940s slang. Combines documentary-like sequences with a sharp awareness of the isolation of each soldier in the midst of battle. 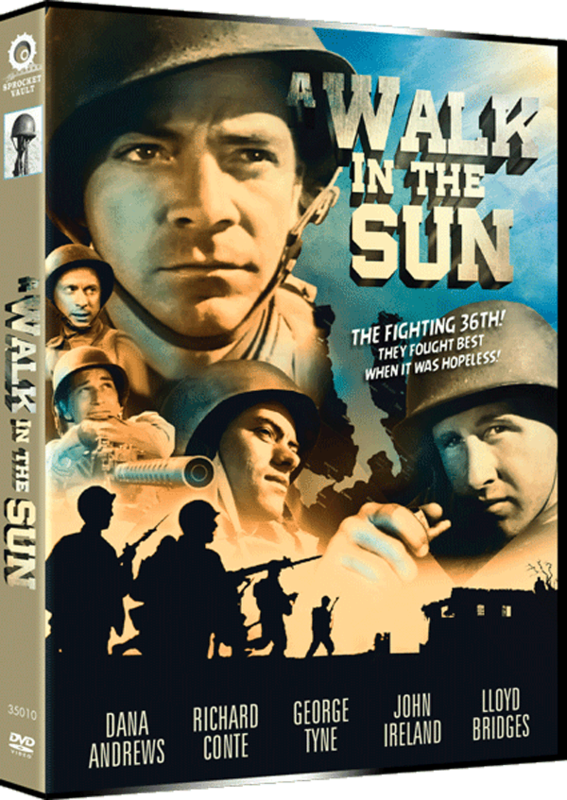 SPECIAL FEATURES: Interview with Actor Norman Lloyd on “A Walk in the Sun” – “The Men of ‘A Walk in the Sun'” with Joel Blumberg. Guerillas in Pink Lace – As the Japanese advance on Manila early in WWII, Brass Murphy, trying to escape, is given a military pass by a kindly priest. In cleric’s disguise, Murphy finds himself the “chaperone” of a group of five showgirls. The plane in which they escape is shot down, and they find themselves on an enemy-held, small island. From that point on, their adventure becomes both harrowing and hilarious. Samar – A strange and suspenseful story of a penal camp located in Spain. A prisoner arrives in the camp and attempts to alleviate the suffering of the prisoners. Action galore! Satan’s Harvest – An American detective arriving in Johannesburg to claim an inheritance discovers that the deed to the estate has been falsified by a ruthless group of cutthroat criminals who are using it as a front to run dope. His attempts to regain control of the land leads him to several countries and finally to an abandoned warehouse where he is forced to engage in a deadly game of wits and weapons with the outlaws. The Steel Claw – A one-handed Marine captain leads a mission into the interior of the Philippines during early days of WWII to rescue an American general held captive there. Beset by jungle and the enemy, the group sets off on what becomes the most amazing adventure ever experienced by U.S. military men. René Cardona Jr.’s bloody Mexi-Western is the story of a hired gun that wants to complete his last big job so he can retire with his prostitute. The job consists of killing a sheriff who keeps himself hidden away inside an old monastery. A series of double crosses culminates with an excessively bloody “Wild Bunch” inspired massacre inside the monastery. Giants of Thessaly – predates Columbia Pictures “Jason and the Argonauts” by a couple of years. Jason and Orpheus leave Thessaly on a quest for the magical Golden Fleece. While on their heroic adventures, they encounter an assortment of monsters, wizards and a conniving witch! Sins of Rome – Retelling the 1st-century B.C. slave revolt, which shook the Roman Empire to its core. The hero behind the rebellion is a Thracian slave, Spartacus (Massimo Girotti), who handles the role quite impressively. To enhance the story’s romantic appeal, the scriptwriters have bestowed on Spartacus two leading ladies: Sabina (Gianna Marian Canale), the sensuous daughter of a Roman aristocrat, and Sabina’s personal slave, Amitys (played by ballerina Ludmilla Tcherina). 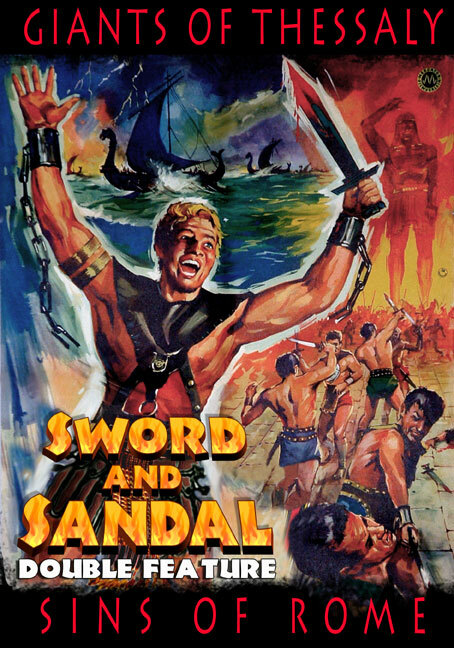 But beyond the romantic plot twists there is an abundance of gladiatorial combat and exciting battle scenes.